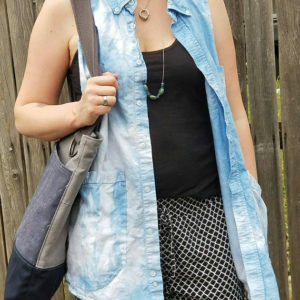 This large tote bag is perfect for carrying all your essentials. 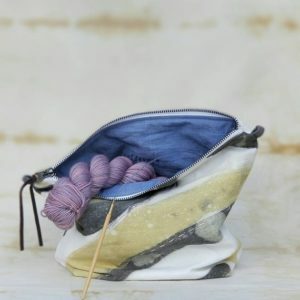 The bag features an interior split pocket that can hold your phone, etc. and the bag closes with a metal zipper. 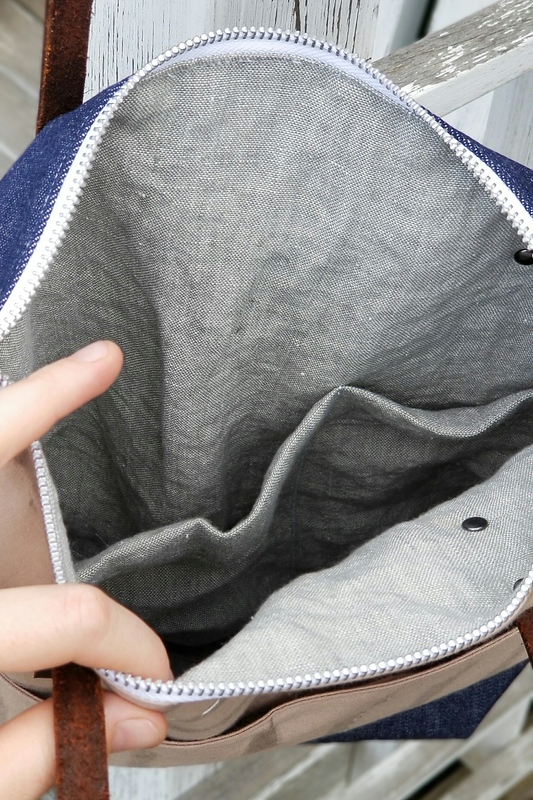 The exterior features a front pocket with a magnetic snap closure. 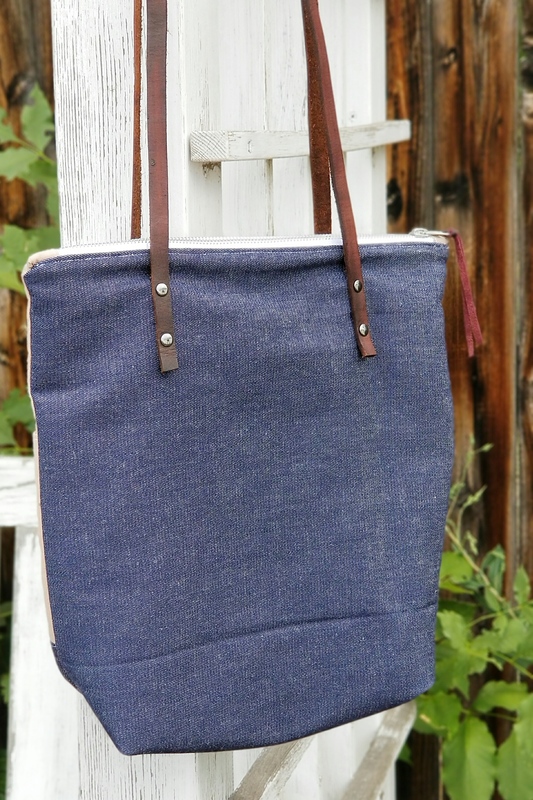 Two leather straps are attached to both sides of the bag. 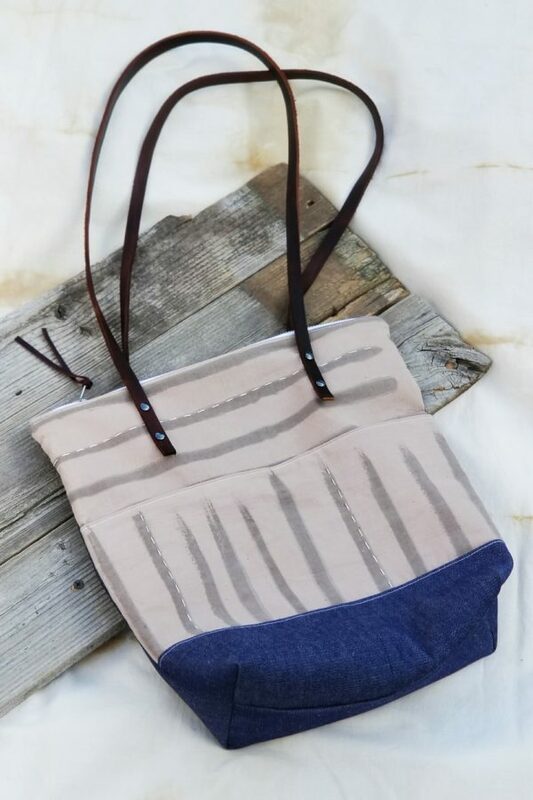 This bag was created using upcycled fabric that has been hand painted with dye from pomegranate skins and over dyed with quebracho rojo. The interior is lined with repurposed linen. 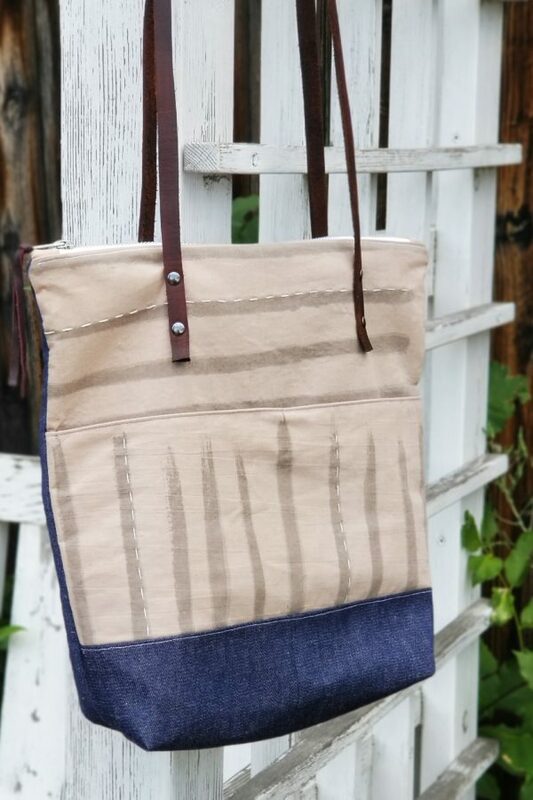 The bottom and back of the bag are made from upcycled denim. Hand stitched accents are used on the exterior to highlight the pattern of the hand painted fabric. Care: Spot clean as need with cold water and mild soap. Hang to dry. Keep out of direct sunlight when not using. 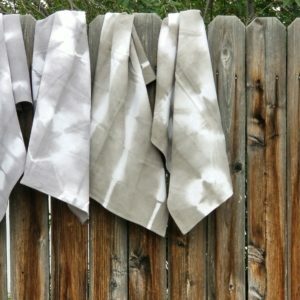 Due to the nature of natural dyes some fading may occur over time. Made in my Denver, CO studio.